As consumers continue to take a more active role in their health care, Health Savings Accounts (HSA) are becoming more common. Last year, 1 in 4 employers offered HSA-eligible health plans to employees. An HSA is a tax-exempt savings account for eligible out-of-pocket medical expenses. Here are a few things you need to know about HSAs. By law, only people with a High-Deductible Health Plan (HDHP) can open an HSA. The federal government defines the minimum deductible for an HDHP each year. Currently, it’s $1,350 for an individual or $2,700 for a family. The government also sets the HSA contribution limits each year and determines eligible medical expenses. For 2017, the contribution limit is $3,400 for individuals and $6,750 for families. HealthEquity is the Blue Cross and Blue Shield of North Carolina preferred banking partner of the HSA account, but our customers can open an HSA with another bank. The benefit of using HealthEquity is that your account will be integrated. This means that you’ll have access to the HSA Member portal through BlueConnectNC where you can access claims and fund information. This keeps you from having to enter each claim to get reimbursed. HealthEquity handles all HSA administration, including activation of accounts, distribution of HSA checks and debit cards, customer service, and tax forms. If you choose HealthEquity to administer your HSA. For group plans, the group chooses the banking partner. Contributions are not taxed and anyone can contribute on the account holder’s behalf. Any interest or earnings on the HSA grow tax-free. Payments for qualified medical expenses are not taxed. There’s no use-it-or-lose-it like with a Flexible Spending Account. The money left in the HSA at the end of the plan year rolls over to the next year. HSAs are portable if you change jobs or change health coverage. The money in the account belongs to you, not to your employer, even if they contribute. The member must be enrolled in a qualified HDHP. The member cannot have medical benefits from any other non-qualified health plan. See other health coverage here. The member is not eligible to be claimed as a dependent on another person’s tax return. The member must not be eligible for Medicare. BCBSNC loads your data and forwards it to HealthEquity. HealthEquity sets up your HSA accounts and sends you a customized activation kit with instructions for online activation of the HSA account. HealthEquity activates your HSA account and sends you branded debit cards/checks. For group plans, you and/or your employer can contribute to the account up to the IRS limit. Typically you’ll contribute through payroll deductions. For individual plans, the individual, family members or anyone else can make contributions on behalf of an eligible individual. Contributions can be made at any time during the year in any increment. You can make contributions all at once in the beginning or the end of the year or in equal amounts throughout the year. Contributions can be made in cash or through a rollover from another HSA. Rollover contributions aren’t subject to the annual contributions limits. If you live outside North Carolina, verify if your HSA contributions are deductible from the state income tax. According to this Forbes article, HSA contributions are not deductible from California state income tax, for example. What can I use my HSA dollars for? You’ll receive a debit card from HealthEquity. The money can be used to pay your deductibles and coinsurance for qualified medical expenses, including those not covered by the health plan, like dental and vision care. 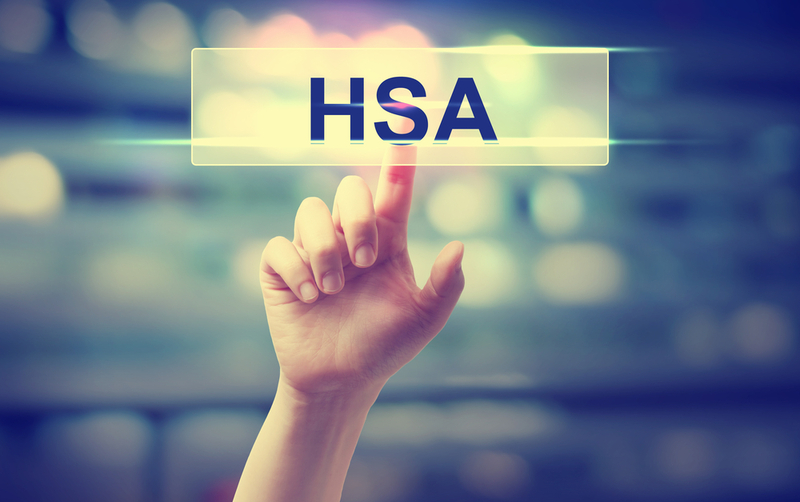 If you use your HSA for non-qualified expenses, the money you withdraw will be subject to income tax and an additional 20% penalty. After age 65, the 20% penalty is not applicable although the distribution is treated as taxable income. If you are no longer eligible to contribute toward an HSA, you can still receive tax-free distributions to pay or reimburse your qualified medical expenses if you still have money in your account. Expenses incurred before you establish your HSA are not qualified medical expenses. For example, if this is the first year you’ve had an HSA, you cannot use that money to pay for any expenses incurred in a previous year. People over 65 can use their HSA funds to pay premiums for Medicare Part A, Part B, or Part D, Medicare HMO, or for employer-sponsored health insurance or employer-sponsored retiree plan. However, you can’t use HSA money to pay premiums for Medicare supplemental plans. The HSA is a bank account and you are the owner, the account holder. Materials including debit cards and checks, and documentation will be in the account holder’s name. If the account holder is married and passes away, the spouse will become the owner of the HSA and may use it as if it were his or her own HSA. If the account holder wasn’t married, the account will pass to his or her designated beneficiary or become part of the subscriber’s estate (subject to applicable taxes). Visit our HealthEquity for more information about managing your HSA. This information is not considered legal or tax advice. Please contact a legal or tax advisor regarding your specific situation.